Our preschoolers may technically be our students, but we are always learning things from them ourselves. They offer a new perspective on life, allowing us to see the world through fresh eyes. As adults, we are focused on teaching children about how life works, but in reality, there is a lot that they can teach us as well. 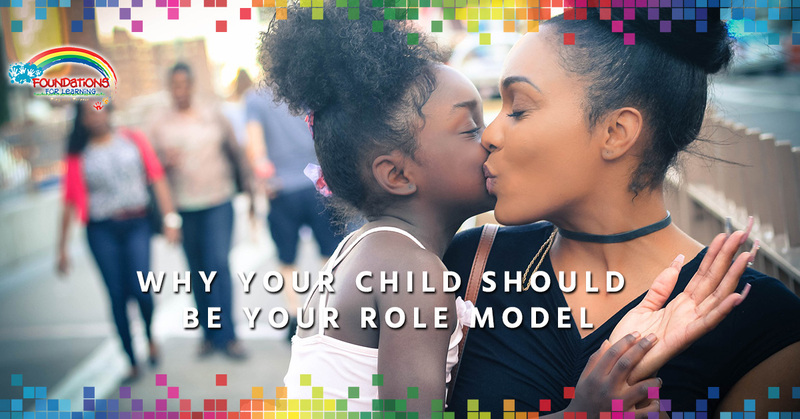 Children make for good role models for several reasons. In this blog, we will go over some qualities that children have that adults should adopt. Children don’t hide what they really think and aren’t afraid to speak their mind (at times, causing embarrassment for their parents). They don’t censor themselves, second-guess what they are going to say, or say things just to please other people. This frankness is something that adults could learn something from. Have you ever held back what you really wanted to say? How often do you end up twisting your words around so much that they don’t even reflect what you really mean? Adults tend to constantly arrange their words in order to avoid conflict or rejection, preventing us from speaking our truth. Children say what they really mean, and we could stand to take a page from their book. All experiences are new to children, so they approach everything with presence. They are naturally able to be completely in the here-and-now with total awareness. As adults, we struggle to be in the present moment because we always have a flood of thoughts from our past and future to compete with the present moment. Exercising this type of mindfulness would be beneficial to adults in a number of ways. Adult life is full of responsibility and commitment, which causes many of us to forget to do something very important in life: have fun! In the Western world, leisure is not prioritized and is considered a luxury. However, play is important even as we get older. Fun activities allow adults to boost their creativity, deepen their relationships, improve brain functioning, and ease stress. Children are the leading experts on play in this world; therefore, we should all look to them as an example of the importance of incorporating fun into our lives. Children have not yet begun internalizing messages from society about how they are supposed to behave and who they are supposed to be, so they are just naturally themselves. They are purely authentic. They don’t fall victim to self-criticism or try to put on a false posture to impress anyone. It’s in all of our natures to just simply be ourselves, but over time, we are taught to pretend to be someone else. Your children serve as a reminder that you don’t have to be anyone but yourself. In our culture, we value independence and self-sufficiency, and as an adult, you are supposed to embody these qualities all the time. If we don’t have it all figured out, we feel like failures. When we have to ask for help, we feel weak, so we avoid reaching out. Children cannot do this because they are dependent on us. No one expects them to be able to do everything on their own, so they don’t ever hesitate to ask for help. You shouldn’t either. At our preschool in Southington, we are always learning from children. If you are looking for child care, contact Foundations for Learning today.